Your company's "ideation process" is either non-existent, seriously flawed, or not understood by the members of your team. You know it. I know it. And 99% of the people you work with know it -- a longstanding phenomenon that spawns nothing but frustration, wheel spinning, and resignation. Few people want to deal with the Rube Goldberg-like nature of the beast -- the attempt to more dependably structure the process of originating, developing, and executing new ideas. And so the madness continues. Does it always have to be this way? No it doesn't. But someone needs to step up and bell the proverbial cat. So read on. The following ten "ideation process best practices" are clues for you -- something to adapt to your particular company/team culture/ It's not like you have to implement all ten of them. But even one or two, applied on the job, will make a huge difference. That is IF you want to increase the odds of you and your team increasing the odds of innovation actually happening on-the-job. 1. COMMUNICATE A CLEAR, COMPELLING VISION: Regularly, let the people on your team know what the ultimate goal of their efforts are. When people, swamped by the day-to-day, forget the inspired vision that attracted them to your company in the first place, your hose has sprung its first leak. What can you do, this month, to remind everyone on your team what the big, hairy, audacious goal is -- the "gold at the end of the rainbow" aspiration that gets everyone out of the bed in the morning? 2. FRAME POWERFUL QUESTIONS: While it's great to have an inspiring goal to aim for, unless you can translate that goal into the kind of meaningful challenges that people can get their arms around, all you are doing is hyping people up. The more skillful you are at framing your business opportunities as questions that begin with words "How can we? ", the more likely it will be that your innovation garden will grow. That's why British author G.K. Chesterton once said, "It's not that they can't see the solution. They can't see the problem." How might you frame the questions you want your team thinking about this week? And when is your next opportunity to communicate these questions to your team? 3. WRITE CRYSTAL CLEAR BRIEFS: I'm sure you've heard the phrase "garbage in, garbage out". Yes? Well, this phenomenon also applies to a company's ideation process. If your project briefs are vague, incomplete, or non-existent, you have just complicated the situation. Unfortunately, this is all too common. The reasons? Your team doesn't actually know what your customers want, no one is responsible for writing new project briefs, or no one is actually reading/understanding the briefs. The results? Not good. What can you do to ensure that innovation efforts, on the front end, include some kind of clearly written briefs? 4. READ, UNDERSTAND, AND SIGN OFF ON THE BRIEFS: Even if your Brief Writers write crystal clear briefs, there is a big likelihood that the briefs they write will just hover in the air like Goodyear Blimps. Either key people won't read them, won't understand them, won't be inspired by them, won't check in with each other to make sure that everyone is on the same page, or won't have the time and energy needed to push back and ensure that another, better version of the brief is written to get the party started. How can you include a "Brief Reality Check" in your company's ideation process -- a way to ensure that all key internal stakeholders are on the same (clearly communicated) page before cranking out new ideas and concepts? 5. IMPROVE YOUR BRAINSTORMING SESSIONS: Most company's brainstorming sessions are hugely ineffective, a kind of hyper-caffeinated Rube Goldberg machine where the same, usual suspects go through the same tired process of trotting out their pet ideas, jousting with each other, and calling it "ideation." 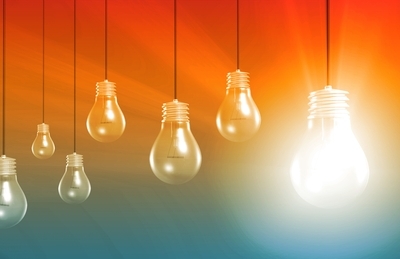 How can you upgrade the quality and impact of your in-house brainstorming sessions? 6. LEVERAGE THE SPONTANEOUS BRILLIANCE OF YOUR WORKFORCE: During the past 25 years, I have asked more than 10,000 people where and when they get their best ideas. Less than two percent tell me they get their best ideas at work. The most common times and places? In the shower. Late at night. Early in the morning. Exercising. Commuting. Or doing something completely unrelated to the task at hand. Curiously, most companies do not have any kind of dependable process in place for leveraging this naturally occurring idea generation phenomenon. And because they don't, many awesome ideas never get planted in your garden. That is unfortunate. How can you encourage your team to honor, capture, and communicate the cool ideas they are conceiving away from the workplace? 7. 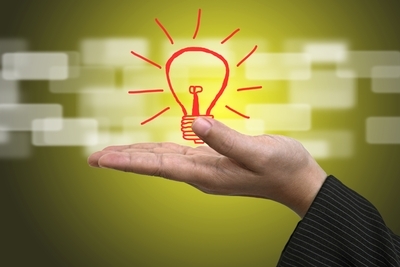 COMMUNICATE CLEAR CRITERIA FOR IDEA EVALUATION: Generating ideas is not all that difficult. Indeed, that is one of the reasons why the phrase "ideas are a dime a dozen" is so common. What is less common is letting your in-house "idea people" know what the criteria will be used to assess the ideas they conceive. Identifying and communicating clear criteria before engaging a mass of people in a "creative process" is another way to plug one of the big holes in your ideation hose. In other words, if you are the boss, department head, or team leader, be very clear with your people about how you will be evaluating the ideas they will be generating. Take a shot at it now. For the most compelling project now on the table, what are five criteria you will use to assess the viability of ideas presented to you? 8. CAPTURE AND DOCUMENT IDEAS: Most brainstorm sessions or any kind of intentional ideation processes, usually spark a lot of ideas -- some good, some bad, some ugly -- but very few of these ideas are captured. And even the ones that are captured don't often make it out of the room. A post-it on the wall or a line on a flip chart is a good start, but unless those ideas, like a baton in a relay race, get passed on to the next runner, nothing much happens. What is your current process for capturing and documenting ideas generated in brainstorming sessions or project development meetings. Is it working? If not, what can you do to improve it? 9. ENSURE MORE DEPENDABLE IDEA EVALUATION: Because most people in your organization are running from one meeting to another, they rarely take the time to slow down, reflect, and evaluate promising new ideas that emerge. Instead, some kind of voo doo science is applied -- an odd cocktail of mood-driven opinion-making, idea jousting, half-baked conclusions, and whoever-stays-latest-at-the-office-decides. And while, sometimes, this approach can actually work, it is often a huge hole in your pipeline -- especially since most of your idea genereating sessions are way too short and have no time baked into them for idea evaluation. Who are the likely suspects on your team to evaluate new ideas and how can you ensure that they make the time to do so? 10. CREATE A WAY FOR SENIOR LEADERS TO GIVE FEEDBACK: This is a big one. Ignore this step at your own risk. At the end of the day, your company's senior leaders need a chance to share their feedback with aspiring innovators -- especially in regard to ideas that are going to require funding or company resources. This does not need to be an "uh oh" moment, like some kind of surprise IRS audit. Done well, it can be supremely helpful. Your creative team will get a much-needed reality check. Viable ideas will be refined. And you will radically diminish the odds of the "11th hour squashing of good ideas" syndrome, because your key stakeholders will have had an opportunity -- earlier in the game than usual -- to weigh in and be part of the creative thinking process. Of course, how these idea feedback sessions are structured and facilitated make all the difference. What is your concept for how these idea feedback sessions might be structured? CAUTION: The above-noted "ideation process" suggestions are not intended to be treated as sacred or followed blindly. They are simply intended to spark some fresh thinking and forward movement on this topic. What works for your team or your organization will not, necessarily work for another team or another organization. 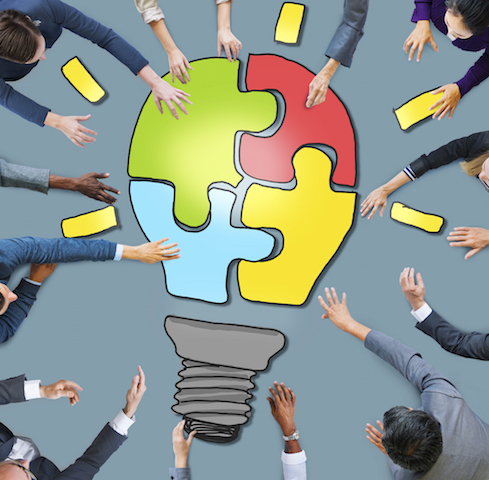 Your ideation process will need to be customized for your particular needs. How might you pull together a sub-team, in the next week or so, to come up with a customized ideation process approach that has the best chance of working?